Vertigo: Turns your world upside down! Benign paroxysmal positional vertigo (BPPV), or “loose crystals,” is a very common cause of vertigo due to a mechanical change in the inner ear. When crystals become dislodged and travel into one of the semicircular canals, it disrupts the fluid and creates a false sense of movement. This is why alterations in a head position such as looking up or down, lying in bed, or rolling over will cause dizziness; feeling off balance, or difficulty walking. Studies have shown that 2 to 3 percent of the population is at risk for loose crystals. 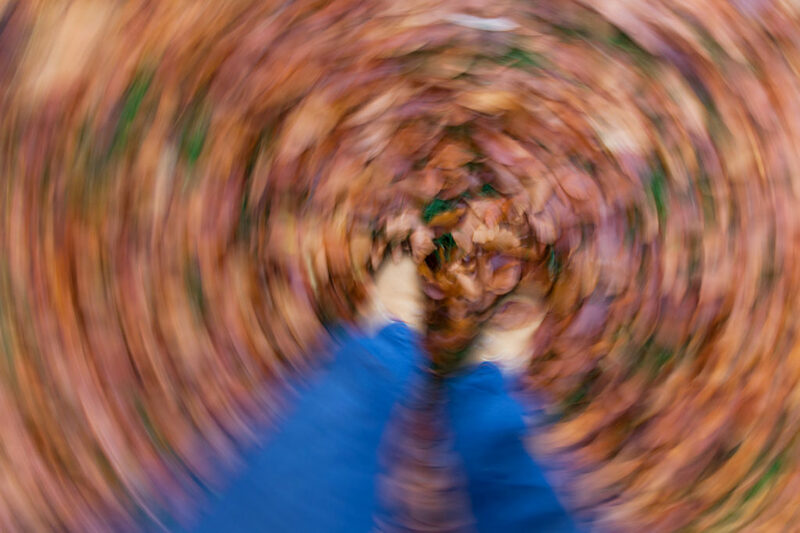 Not all forms of vertigo come from BPPV, but it can be diagnosed and treated. A physical therapist can determine if you have BPPV. Physical Therapy is the No. 1 treatment for BPPV. It can usually be cared for with a non-invasively that has very positive outcomes. It works by allowing the free-floating particles from the affected semicircular canal to be relocated by gravity back into place, resolving vertigo approximately 90-95 percent of the time. Once BPPV is resolved through appropriate treatment, patients will follow up with balance training tailored for inner-ear problems, ensuring a safe recovery. Dedham Health Physical Therapy has the tools available to assess and treat Vertigo symptoms. Visit our website or call us at 781-326-8332 for more information. Your Rights as a Patient – You Have Choices! About 20 years ago, I chose to begin a career in the medical wellness field due to my lifetime commitment to staying active. Because of this, I have put my body through a lot and have unfortunately undergone my fair share of injuries requiring both surgery and physical therapy. Through these injuries, I have come to realize the importance of a team of people that you can trust. This team should include a loved one who advocates for your best interests, a primary care physician you trust – willing to refer you to the best specialists regardless of their affiliations, and a physical therapist you trust to give you the best therapy for your recovery. I am lucky to have just that. My team has given me the best treatment from some of the top specialists and therapists in the Boston area. Not all of us have been as lucky. In order to receive the greatest treatment possible (and recover properly), there are a few things I need to share with you. First, you need to believe you should receive the best treatment possible. You deserve it. You have to make sure you are prepared to fight for the best treatment for your injury or illness. You have to be your own advocate. Did you know that in Massachusetts, everyone has direct access to see a physical therapist of their choice? This means you can be seen directly by a physical therapist without a prescription from your physician. Many insurance companies will reimburse for these treatments. The physical therapy clinic of your choice will be able to tell you if they accept your insurance and if they require a physician referral. 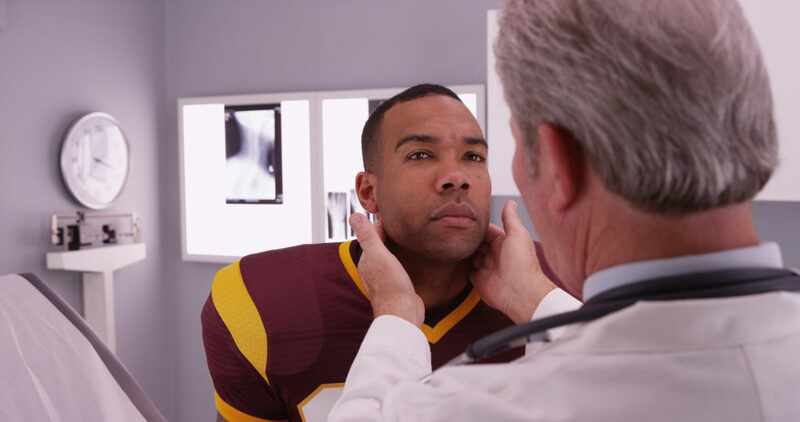 If your insurance company requires a physician referral and your physician wants you to get treatment elsewhere, it is ultimately your decision where you want to be treated. Below is an example of potential situations you may encounter. You have been having pain in your upper back on the right side, nagging you for about a month. It feels like tight muscles, as work has been stressful as of late. You have been told by a co-worker to see her physical therapist. She had a similar issue, and she resolved it in four sessions. You decide to give it a try and go to the PT clinic to make an appointment. The receptionist at the front desk asks for your insurance card and says you need to get a prescription from your physician. You then make an appointment with your physician. This is where you have to trust your doctor. This is where the path may have some forks in the road. Here, you may have to decide what the best option is for you. The first path is the doctor won’t write the referral without an x-ray and/or MRI. A physician’s clinical judgment can justify imaging first. While this could be a good idea to rule anything else causing the pain than a tight muscle, it is illegal for them to demand these tests in order for you to get a prescription for physical therapy. The second path is your doctor wants to write a prescription for physical therapy at the clinic he normally refers his patients’ to and won’t write one of YOUR CHOICE. This is also against the law. Lastly, they say they won’t write a prescription for just physical therapy. Illegal. It is your right. A law put into action in 1982, allows you, the patient, direct access to the physical therapists of YOUR CHOICE. 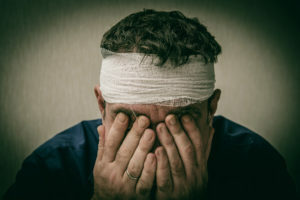 The bottom line is: when seeking treatment for injury or illness, know your rights, have a team you can trust and remember in the end the decision is yours. For more information on Dedham Health, visit our website. In October, I had two major hip surgeries in twenty-five days. Now if you know me, you understand how important being active is to me – so let’s just say the last two months have been a bit rough. Recently, however, I had a follow up with my surgeon and finally got the go-ahead to work out in the pool. Still, on crutches, I have very limited weight bearing on my left leg, this makes a pool the perfect place for me to start my rehab. The water, with at least eight major benefits, can help me or you improve the rehab of an injury, recover after surgery, or just add needed cross-training into a current workout program. 1. Buoyancy; the upward force of water on your body helps reduce the amount of weight on an injured extremity. Since buoyancy is even greater in a salt pool or the ocean than your standard pool or freshwater swimming hole, I can walk in a salt pool with no limp. This allows my muscles to relearn a normal walking pattern sooner than if I waited to heal up on land. I can execute a variety of movements I otherwise would not be able to perform on land. 2. 784 times denser than air, water creates much more resistance. So while the water offers a great deal of assistance through buoyancy, it also helps strengthen our muscles through resistance. The faster the movement through the water, the greater the resistance. The greater the surface area moving through the water, the greater the resistance. 3. While exercising in the water, our level of perceived exertion is less than our actual physical exertion. This is a double-edged sword. While the cooler than body temperature water helps keep us cool (and not appear to sweat) and the increase of water pressure aids in venous return to heart (usually eliciting a lower heart rate/breathing rate), we need to be careful not to over exercise when first starting in the water. You will feel great while in the water, but once you get out fatigue will set in quickly. Always start slow and increase your workload by no more than 10-20% per week. 4. Pain reduction – Through my own experience and through those I train in the water, pain levels decrease or completely go away while in the water. This is the only environment that offers me a pain-free half hour out of each day, improves my strength, and helps me heal so my pain on land is reduced over time. 5. Balance – At a depth of 3-4 feet, the water acts as a stabilizer but, it also requires us to balance and counteract its motion. This will help in strengthening not only the major mover but also the ancillary muscles utilized to create balance. Plus, when we work out in water up to our chest, we minimize the chance of falling and the fall rate is slow. 6. The buoyancy also increases our mobility – the range of motion in injured joints. After all my shoulder surgeries, the water allowed me my first full range of motion. Over time, this increase in ‘range of motion’ will carry over to dry land. 7. The atmospheric pressure of the water at 4 feet is greater than standing in the air. This can help with fluid retention in the lower extremities. This pressure can not only aid in the venous return of blood up to the heart but, also help fluid be compressed from the interstitial spaces and be returned upwards through the lymph system. 8. Finally, being in water just gives a level of relaxation not found anywhere else. The feeling of being weightless the coolness of the water just makes for a tranquil environment. This whole workout takes approximately 30 to 40 minutes. All exercises should be performed according to your current fitness level, injuries, medications, and contraindications. Using your cell phone can be more harmful than you think. The more technologically driven our society has become, the more frequently we find ourselves using cell phones. Because we are constantly looking down at our phones, we are more likely to experience neck pain. It is a new phenomenon known as “text neck”. Everything we do during the day is in front of us, especially with our phones: reading, texting, emailing, social media. As a result of always looking down, the neck can only withstand a limited amount of force overtime before succumbing to the increased tension. When that happens, the human body will respond with a forward head posture, increased tightness of the neck and upper back musculature, shoulder pain, neck pain, headaches, and vertigo, to name a few. The poorer our posture becomes, the greater the stress on our back and the greater the likelihood of developing degeneration of the spine. One of the best ways to correct forward flexion of the neck is by keeping the neck in a neutral spine and raising your phone to almost eye level; it’s better to bend with the eyes than the neck! If you experience tightness on either side of the neck when using your phone, stretching the largest cervical muscle, your upper trapezius, will alleviate your symptoms. If, for example, the right side of your neck is tight, grab the top of the head with your left hand and gently pull your head to the left. Hold for 30 seconds and repeat 3 times. If the stretch hurts, that’s your body’s way of telling you went too far with the stretch, so simply ease off it so that it’s comfortable without being painful. For more health and wellness tips from Dedham Health, visit our website.